Shanghai United Family Hospital (PXU) opened its doors on December 1, 2004, the hospital’s sole mission is to provide comprehensive, integrated healthcare services in a warm and caring patient and family service-oriented environment. Shanghai United Family Hospital is a purpose-built, full-service, JCI accredited facility that offers highly-qualified medical staff from around the world and direct billing to over 40 global insurance companies. As a full service hospital, Shanghai United Family Hospital has a 24-hour emergency room, inpatient and outpatient care, state-of-the-art operating theatres and 24-hour in-house pediatric, radiology, pharmacy and laboratory services. The international staff of senior physicians and local specialists at Shanghai United Family Hospital are selected based not only on the excellence of their training and professional expertise, but also on their compassion, empathy and a genuine interest in working in a multi-cultural environment. In addition to the highly qualified medical team, Shanghai United Family Hospital also has excellent working relationships with medical professors and consultants at the local teaching hospitals and medical facilities around Asia. 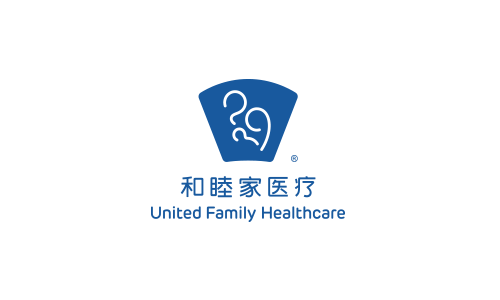 Shanghai United Family Healthcare is your trusted healthcare partner!